After leaving a hotel in Northern Okinawa, let’s go to Naha Airport in Naha City. But, you do not want to just pass by Central Okinawa. 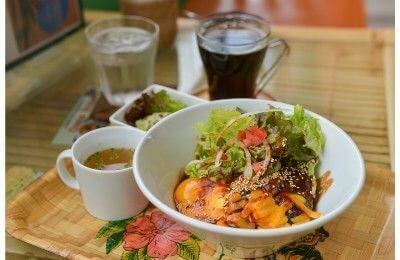 Let’s check out Central Okinawa that you haven’t visited yet, and have a lunch break near the beach in Chatan Town. 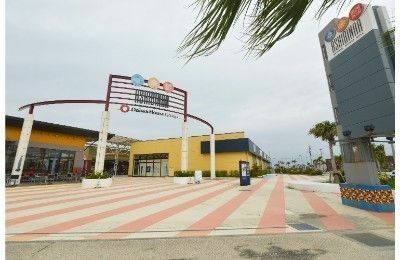 Then, head to Okinawa Outlet Mall Ashibinaa in Tomigusuku City. It is near Naha Airport, so you can enjoy your shopping until the last minute. Only you have to do after is to go to the airport. Consider the extra time to return your rent-a-car before you leave. YU.S. military bases are located nearby Chatan Town, Central Okinawa. There are many places with an American atmosphere in this town, where is also known as the popular scuba diving spot. 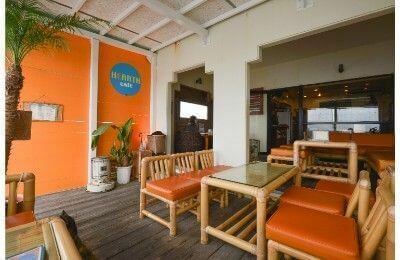 This café is located along the coast, and the Hawaiian food loco moco and smoothies are served here. You can feel a resort-like atmosphere by sitting on an outside seat at the open place. 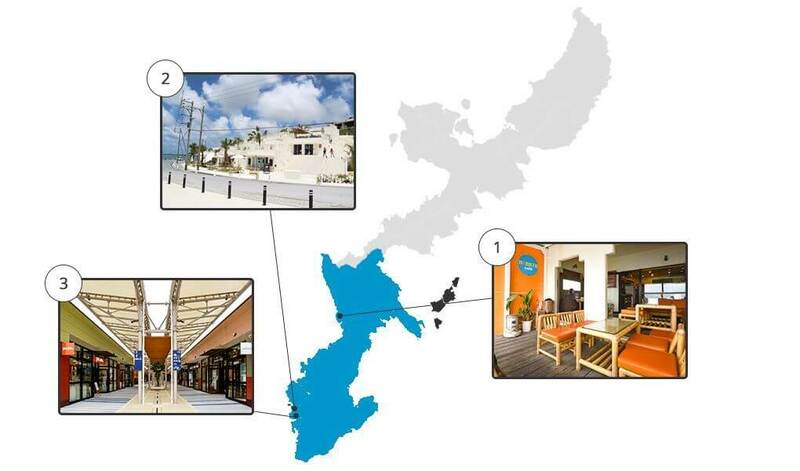 Senagajima Umikaji Terrace is located on Senaga Island, just 15 minutes by car from Naha Airport.This new tourist destination features over 30 shops and restaurants, with the restaurants featuring many local Okinawan products such as fruits and vegetables. 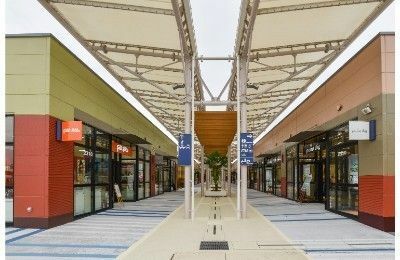 This is the only outlet mall in Okinawa which about 100 of popular brands gathered. Stocks, discontinued products and sample products of each brand, in perfect conditions, are available at reasonable prices. 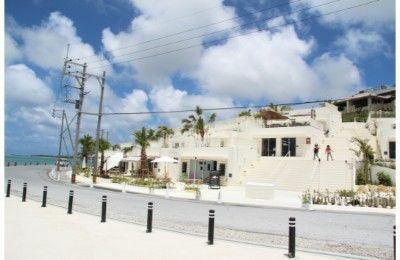 Since it is near the airport and the direct public bus operates from here to the airport, you can stop by here easily. Restaurants including cafes and Okinawan cuisine restaurant are located within the outlet mall, and foreign currency exchange service is available at the information center.